The wonderful Andy Griffith was an American actor, Grammy award winning gospel singer, TV Producer and all round great guy. His career spanned 50 years and he is probably best remembered for his role as Andy Taylor, the iconic sheriff of the fictional town of Mayberry, in the Andy Griffith show. 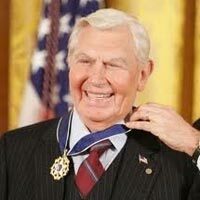 Andy Griffith passed away on July 3, 2012 at the age of 86. Andy Griffith life mirrored his SolePath almost exactly – when he was living in his LightPaths he enjoyed great success and when he was living his DarkPath, he suffered greatly. To listen to the extraordinary tale of his SolePath, click here Andy Griffith on SolePath Discoveries with Dr. Debra.